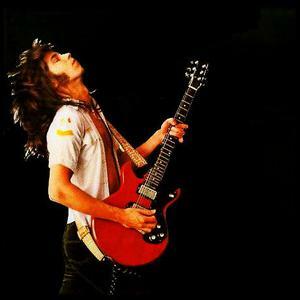 While most bluesy hard rock acts of the '70s and '80s hailed from the United States (the south, to be exact), there were several exceptions to the rule, such as Canadian singer/guitarist Pat Travers. Born in Toronto on April 12, 1954, Travers first picked up the guitar just prior to entering his teens, after witnessing a local performance by the great Jimi Hendrix. It wasn't long before Travers was studying the other top rock guitarists of the day (Eric Clapton, Jeff Beck, Jimmy Page, etc. ), and paying his dues by playing in bar bands in the Quebec area.